According to US Census records, Sarah E. Goode was born in Ohio. However, other details of her early life are hazy, and reports are conflicting. 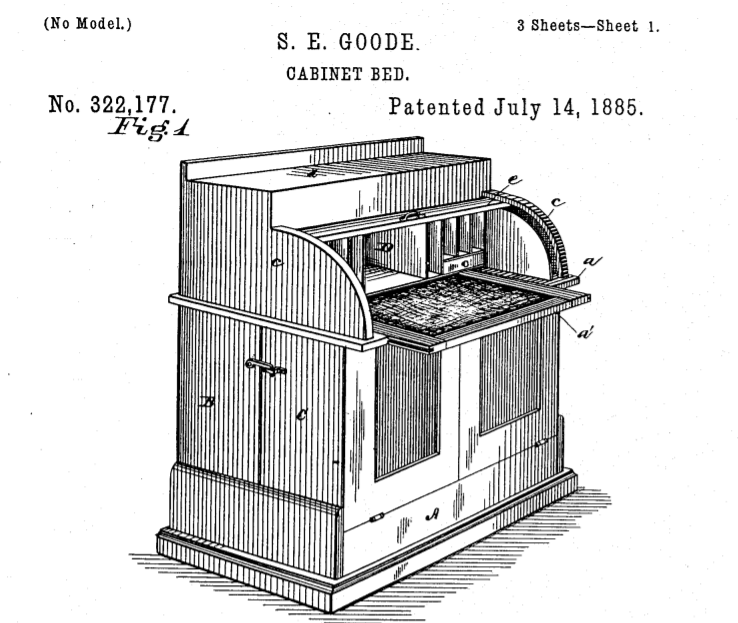 One thing is for sure: Goode made history in 1885 by being the first (or possibly second) African-American woman to receive a patent from the U.S. Patent and Trademark Office. 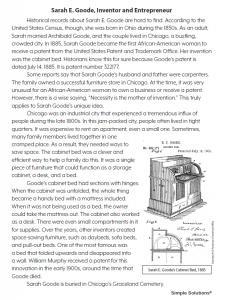 Her invention was a folding cabinet bed—a forerunner of the famous Murphy bed. 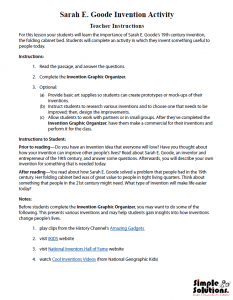 This lesson will explain the importance of Goode’s invention and its usefulness to people of the 19th century. 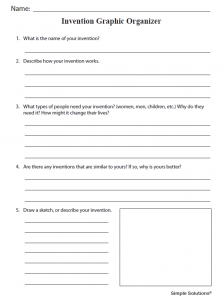 In an accompanying activity, students will invent something that is needed today. 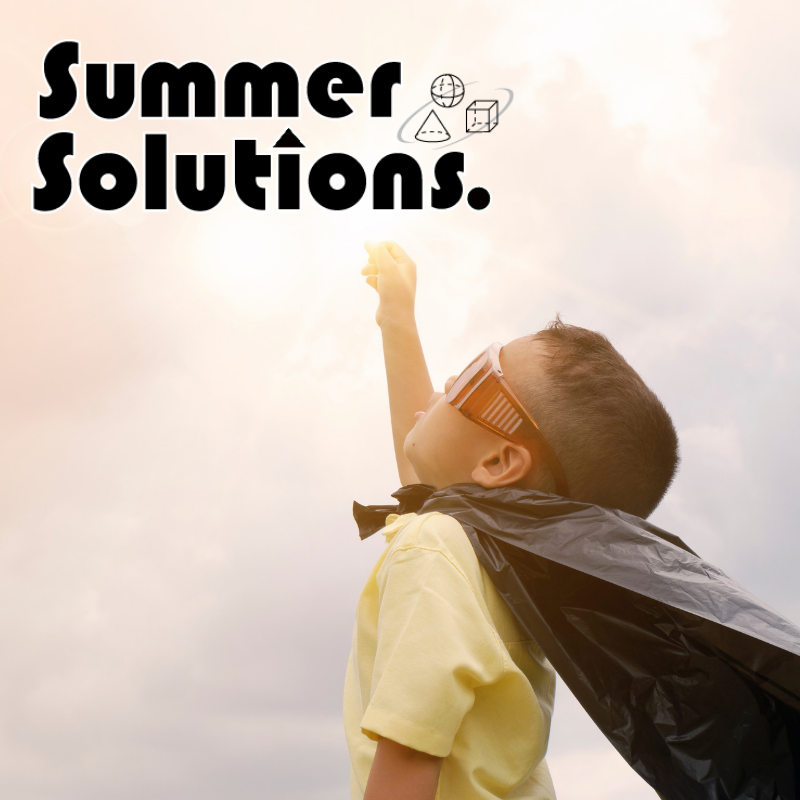 To find similar lessons and activities, check out our newest product, Simple Solutions Ohio Studies! 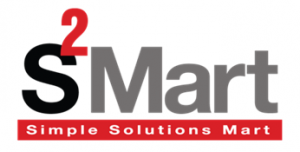 It uses a proven strategy—distributed practice—to ensure that students master and retain important information about Ohio.